Young orphan Billy Batson has bounced from foster home to foster home, but he's far from the ideal child. Brash and rude, Billy is a troubled teen that just can't seem to find a calling. But after a fateful night on a subway car, that all will change. Brought to the feet of the magical wizard Shazam at the Rock of Eternity, Billy is imbued with powers beyond any mortal man. 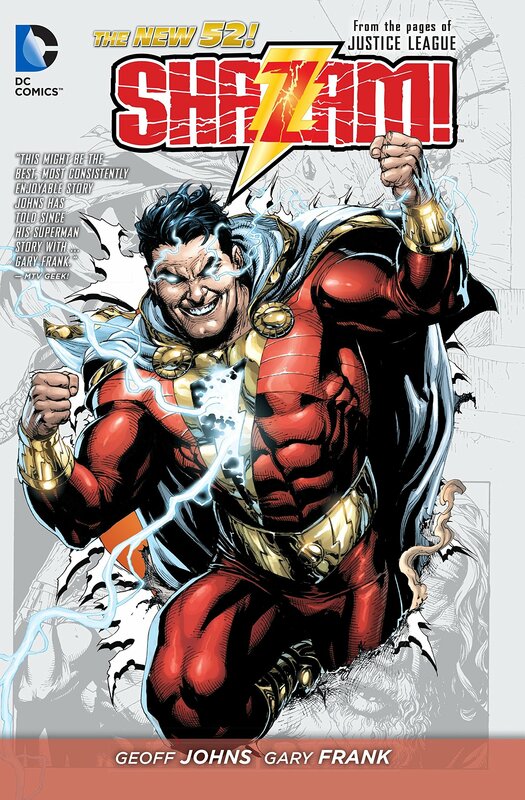 By shouting the wizard's name--Shazam!--the young teen is mystically transformed into the powerhouse known as Shazam! Now given abilities that make him Earth's Mightiest Mortal at the utterance of a simple phrase, will Billy make the right choices and do what it takes to become a hero? Or will he succumb to the poor choices of youth--and the villainous Black Adam! Geoff Johns and Gary Frank, the team behind the New York Times #1 best-selling graphic novel BATMAN: EARTH ONE, unite to re-invent Captain Marvel as a part of DC Comics--The New 52. Collected here for the first time ever is the series of back-ups that ran in the pages of Johns' critically acclaimed JUSTICE LEAGUE.